Need for Jesus at Speaker’s Corner. Brother Steve shares how the world needs the love of God. Is Jesus ONLY for the Jews? Author DCCI MinistriesPosted on 28 May 2018 Format VideoCategories Bible, Jesus, Salvation, Speaker's Corner, Videos, YHWHTags Bible, Jesus, Jews, Matthew 15, New Testament, SalvationLeave a comment on Is Jesus ONLY for the Jews? How much was Muhammad influenced by Satan? Hatun and Abbas discuss how much Muhammad was influenced by Satan? The Hadith states we he was the victim of black magic. They also discuss the satanic verses. Author DCCI MinistriesPosted on 7 May 2018 Format VideoCategories Allah, Hadith, Islam, Jesus, Muhammad, Speaker's Corner, VideosTags Abbas, Allah, deceiver, False Prophet, Jesus, magic, Messiah, Muhammad, Qur'an, Salvation, Satan, Speakers Corner, YHWHLeave a comment on How much was Muhammad influenced by Satan? Muhammad had terrifying visions of hell and was worried about ending up there himself. Jesus, thank You that You suffered for us. Thank You that You died on the Cross. Thank you that You are the eternally begotten Son of God. Lord open our eyes to see that we are the ones worthy of punishment. We deserve that Cross. But You don’t treat us as our sins deserve. Jesus, the Beloved Son, took our place. He took our sin and shame in exchange for forgiveness and righteousness and eternal life. Lord, how can we begin to thank you? Take our lives as living sacrifices to your praise and glory for everything You’ve done. 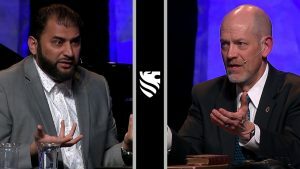 James White and Adnan Rashid had a debate recently on whether or not the Cross is necessary for salvation. In my last post, I analysed the main points raised; in this post, I will hold Adnan Rashid accountable for what he said about Islam. I will take four of Adnan Rashid’s statements to which I offer my own suggested rapid-fire responses. Each statement could be a debate topic in its own right, and there are deeper theological answers to all of them. But my experience at Speaker’s Corner tells me that more debates are won through a good come-back than through detailed theological explanation. Muslims use this tactic all the time, whether or not their come-backs have any theological support (they often don’t.) A good come-back sticks in the mind of the person watching; it’s the hook that leads them to dig deeper and is something all Christian debaters (myself included) can learn to practice more. Although (needless to say), for the sake of Christ and his truth, as well as our own personal integrity as ambassadors for the Gospel, our come-backs must also be well-grounded theologically. Is Islam consistent with Genesis 3:21, where the Lord makes ‘garments of skin’ for Adam and Eve, i.e. animal sacrifice, even before the institution of the Mosaic law? Why does the Qur’an omit this detail? Why, according to the Qur’an, are Adam and Eve expelled from the garden at all, when the Qur’an says Adam received forgiveness from his Lord (Sura 2:37)? The Bible doesn’t say Adam and Eve were forgiven, it says they were cursed – in clear contradiction to the Qur’an. Genesis 3 also says that Eve’s offspring would one day crush the head of Satan. No mere human offspring can crush the head of Satan, so it must refer to a god-man – Jesus. That God can become a man is anathema in Islam. This stands in direct contradiction to the whole sacrificial system. On the Day of Atonement, the High Priest made atonement for himself and the people through the sprinkling blood before the mercy seat of YHWH. In Leviticus 17:11, YHWH forbids the eating of blood because “it is the blood that makes atonement for one’s life.” If this system was abrogated by Allah, then how can he disregard his own law without being inconsistent? If he fulfils it, then how? These questions are not answered according to the ‘clear’, ‘detailed’, ‘well explained’ Qur’an (Sura 12:111). Same goes for the role of the High Priest and the priesthood. The OT repeatedly mentions that YHWH will come Himself to earth to rescue and redeem his people (Gen 3:15, Jeremiah 23:5-6, Job 19:25, Isaiah 9:6). Again – where is the evidence that Allah is a saviour, a redeemer? Why is it not one of his 99 names, when the theme of YHWH redeeming his people is such a consistent thread running throughout the OT? According to Islam it is impossible for Allah, a monad, to come to earth. Islam is not consistent with the Old Testament. What law exactly does Islam teach? Do you mean the Mosaic law, which the Qur’an says is revealed by Allah (Sura 3:3-4, S29:46, S5:47-8) or sharia law, which doesn’t come directly from the Qur’an but is a man-made extrapolation of Islamic teaching? If you mean the Mosaic law – which you say is consistent with Islam – why are you not still sacrificing animals, keeping the Sabbath, putting to death anyone who curses their father and mother etc? If you mean sharia, please support your statement from Islamic sources that this guarantees forgiveness? And what do you mean exactly by ‘doing’ the law? Do you have to ‘do’ all of it? Will Allah forgive you if you keep only some, not all of it? Now it gets even more confusing. How do you get saved exactly -through repentance, obeying the law (which law?) or dying as Muslims? According to the verse I just quoted, if you do evil deeds your repentance will not be accepted on your death bed. Presumably it’s possible to do evil deeds and still call yourself a Muslim? But when Christ came as high priest of the good things that are now already here,[a] he went through the greater and more perfect tabernacle that is not made with human hands, that is to say, is not a part of this creation. 12 He did not enter by means of the blood of goats and calves; but he entered the Most Holy Placeonce for all by his own blood, thus obtaining[b] eternal redemption. 13 The blood of goats and bulls and the ashes of a heifer sprinkled on those who are ceremonially unclean sanctify them so that they are outwardly clean. 14 How much more, then, will the blood of Christ, who through the eternal Spirit offered himself unblemished to God, cleanse our consciences from acts that lead to death,[c] so that we may serve the living God! We continue to pray and implore Muslims to see Jesus as He really is. Thank you to Sam Shamoun for helping me understand this topic better. He has done his own rebuttal to Adnan Rashid here. The recent encounter between James White and Adnan Rashid on “Is the Cross necessary for salvation?” was predictable enough. Dr White did OK on the apologetics, and preached the Gospel beautifully at the end to his credit. But this was not a debate. Everything was so terribly polite, with lots of rather pointed comments about how respectful everything was (subtext: not like nasty Speaker’s Corner!) The cross examination was more like a polite exchange of views – hardly worthy of the name. An hour in (trying not to nod off) I was still waiting for things to get a bit more feisty, more passionate, more real. You can respect someone and still be confrontational, right? They seem to manage it at the House of Commons and Channel 4 News well enough – even at Speaker’s Corner, that’s always our aim. Vigorous debate is much more honest and engaging, and my own experience of debating Adnan Rashid is that he can certainly handle it. James White’s first objective was to “demonstrate the centrality of the Cross in divine revelation…beginning with the writings of the Apostles.” I wasn’t sure why he didn’t start with Jesus himself – the many times He predicts His death, Jesus statement in Mark that He would give His life as a ransom for many (Mark 10:45), the Last Supper. He dwelt on the fact (Acts 2:36) of the crucifixion rather than its necessity (Acts 4:12) . JW elaborated on Paul’s teaching on the power of the Cross (1 Cor 1:17) to reconcile mankind to God (Ephesians 2,Colossians 1:19-20) and how the suffering of the Messiah is prophesied in the Old Testament (Psalm 22, Isaiah 53) as stated by Jesus himself (Luke 24:44). This seemed to be slightly off-topic, as the central issue is atonement, not the suffering of the Messiah or his identity – the Qur’an states Jesus is the Messiah, so that shouldn’t be an issue for Muslims (although it does open for them a big can of worms.) There was no mention about the necessity of blood sacrifice in the Mosaic law, fulfilled in Christ and explained at length in the book Hebrews. Although he made some strong points about Jesus’ identity, it felt like he missed the main meat of the argument, which was a shame. Instead his argument relied heavily upon cherry-picked, de-contextualised verses and appeals to scholarship. He tried to turn every reference from the Gospels into either an authorship issue or a textual criticism issue, for example asking why does Luke omit Mark 10:45? (As Lydia McGrew argues in her excellent lecture, “sometimes a variant is just a variant,” and an ‘omission’ presupposes the author’s intention, when they just might have remembered things differently.) The Mosaic law, the Last Supper, Hebrews etc were all,again, conspicuous by their absence. His most interesting argument was whether or not the Book of James teaches salvation by works, therefore contradicting the letters of Paul? When Paul teaches in Romans 4:5 that we are justified by faith alone, he means that the only thing that unites us to Christ for righteousness is dependence on Christ. When James says in James 2:24that we are not justified by faith alone he means that the faith which justifies does not remain alone. These two positions are not contradictory. Faith alone unites us to Christ for righteousness, and the faith that unites us to Christ for righteousness does not remain alone. It bears the fruit of love. It must do so or it is dead, demon, useless faith and does not justify. This was James White’s response, but not very succinctly put. It was unfortunate the rebuttal and cross-examination time were unnecessarily dominated by this issue. How does Jesus respond? By rebuking Satan for misquoting scripture! Why is Adnan using an argument from Satan on which to base his objection? In conclusion the debate (still not the right word for it) was fine, neither a triumph nor a disaster from an apologetics perspective; but the real disappointment was how very one-sided it was. The Islamic perspective was mentioned only occasionally, let alone challenged. Statements like “Islam is consistent with the Old Testament”; “Islam teaches the law and you will be forgiven”; “simply repent and Allah will forgive you”; “we have been promised forgiveness as long as we die as Muslims” all slipped by unchecked. But check it we will – in our next post. 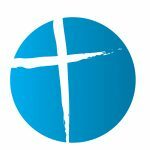 In the last two articles we looked at salvation in Christianity; how it is won for us by Jesus on the Cross and how it is accessed by repentance and faith in Him. Now we turn our attention to Islam. Is obtaining paradise the same thing as salvation? How do you even get to paradise? Is it guaranteed? I am hesitant to call the Islamic equivalent of salvation ‘salvation’. Why? Because Allah doesn’t save anyone. Among his 99 names are the Benificent and the Merciful, but not the Rescuer. Allah creates and reveals his will, but Allah doesn’t personally go out of his way for mankind in any way – except for Muhammad whom he grants special rights and privileges, for example when Muhammad is allowed an unlimited number of wives, (Surah 33:50) whereas his followers have to make do with “two or three or four” (Surah 4:3). In short, the way to Islamic paradise is very confusing. Good deeds? Allah’s mercy? Repentance? The Shahada? Or is it all pre-destinated anyway? After all “many are the Jinns and men we have made for Hell” (7:179). You can live a life full of great deeds, but they won’t help you if Allah has made you for hell. Jews and Christians are substitutes for Muslims in hell? So much for Allah being consistent, let alone just. This time last year Mahmoud Shafiq Mohammed killed 29 people and injured 47 others at St. Peter and St. Paul’s Church in Cairo. His note to his accomplice read “thank you for the good hospitality and I will meet you in Paradise.” When will our governments and media stop pretending these attacks aren’t theologically motivated? I said in part 1 that I would write about salvation in Islam in part 2, but there are a few thoughts I wanted to add on the Christian side before moving on. Apologies, and watch out for part 3. Belief that leads to salvation isn’t simply a matter of intellectually affirming that something is true, but is something we act upon: I get on the plane because I believe the pilot can fly it. If I didn’t, I wouldn’t get on the plane. So if we say we believe in Jesus, but allow Him to have no impact on our lives, we don’t really believe Him. When Jesus announces the start of his public ministry, he couples belief with repentance: “The time has come,” he said. “The kingdom of God has come near. 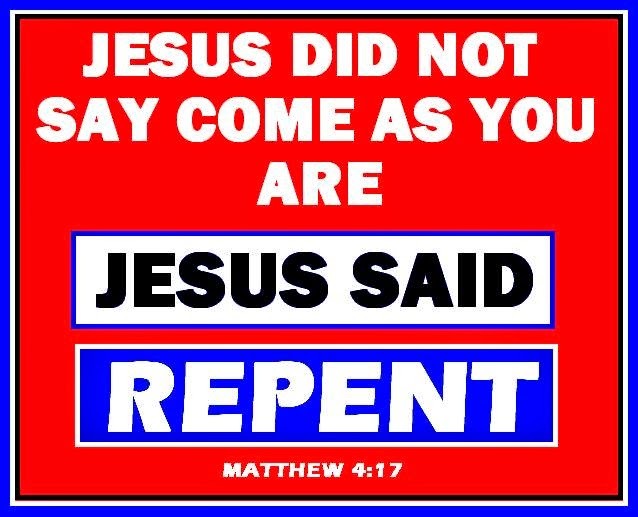 Repent and believe the good news!” (Mark 1:15) If we say we are Christians, and have not taken our sin seriously enough to repent, we need to examine ourselves to see if we are really in the faith, just as Paul meant in 2 Cor:13-5-6. Repentance is the bit we like to skate over because we feel awkward about the sin part. Let’s skip to the good bit, the assurance of eternal life. Thank you Jesus! Why dwell on the negative? 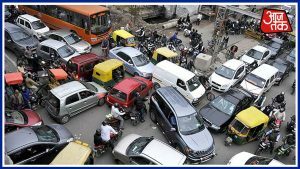 But this is dangerous. By glossing over how catastrophic sin is, we gloss over God’s drastic, radical, uncompromising, torturous solution to it is – the Cross – and how it is the only cure to a deadly sickness that affects us all. Let’s not pretend that just because we’ve never punched anyone and always submitted our tax return on time that our sin isn’t that bad – the Cross says it is. Let’s not pretend that the unarticulated bitterness towards a family member doesn’t matter because it stays in our head – the Cross says it does. We might have been a Christian for years, but find some sins just too comforting to give up. The Cross says “I gave up my comfort for you.” And then this one (James 4:17): “If anyone, then, knows the good they ought to do and doesn’t do it, it is sin for them.” Anyone else starting to feel a bit uneasy? “We extend a special welcome to those who are single, married, divorced, gay, filthy rich, black and proud, y no habla Ingles. We extend a special welcome to those who are new-borns, poor as dirt, skinny as a rail, got a hitch in their git-along, or just plain can’t sing. You’re welcome here if you’re “just browsing,” just woke up, or just got out of jail. We don’t care if you’re more Lutheran than Luther, or more Catholic than the Pope, or haven’t been in church since little Maria’s confirmation. And yet it is also true that Jesus died “once for all” (Hebrews 10:26). When we repent and believe in Christ, his sacrifice is enough for the sins of tomorrow as well as those of today. The fact I will (no doubt) sin tomorrow doesn’t change my salvation: but will I acknowledge my need of Christ to cleanse me on a daily basis in order to please him? Wilberforce used to keep a list of character flaws which he would pray through and monitor on a weekly basis. “Too many think lightly of sin, and therefore think lightly of the Saviour. He who has stood before his God, convicted and condemned, with the rope about his neck, is the man to weep for joy when he is pardoned, to hate the evil which has been forgiven him, and to live to the honour of the Redeemer by whose blood he has been cleansed….A spiritual experience which is thoroughly flavoured with a deep and bitter sense of sin is of great value to him that has it. It is terrible in the drinking, but it is most wholesome to the bowels, and in the whole of the after life.” Spurgeon, c.1890, autobiography. The fact that God cares so passionately about sin is good news. He hates the anger, greed, lust, slander and malice that ruin His world and there will be no sin in heaven because Jesus has dealt with all of it. He wants us to hate it too. Allah on the other hand, is not bothered by sin. As the South London Imam told the audience during a discussion on the topic last week, sin to Allah is in fact “not really a big deal.” So what exactly are Muslims saved from? How is sin dealt with? And what are the implications for Islamic paradise?